Boxing is an internationally recognized combat sport. Participants from over 70 different nations competed in the 2016 Summer Olympics boxing event. This martial arts focuses on developing a practitioner’s punching skills for hand-to-hand combat. Even though you do not utilize as many parts of your body as a weapon, like Muay Thai or Lethwei, there is still a high level of skills and techniques required to master boxing. This article details training tips and techniques to make you become a better boxer, regardless of your boxing style. Effective head movement is an important aspect for both offense and defense. The following drills will enhance this ability. Maize Ball - Use this tool to practice slipping punches while actively guarding your face with both hands. Perform this drill in front of a mirror to practice slipping without over-exaggerating its motion. Refining your slipping movements means it will be easier to recover and regain your position after dodging a particular punch. The video below shows Chris Algieri doing the maize ball drill. You can find a similar maize ball here. Boxing Rope Drill - For this drill, find a location where you can line up a taut rope. This rope should be positioned approximately about your shoulder length. 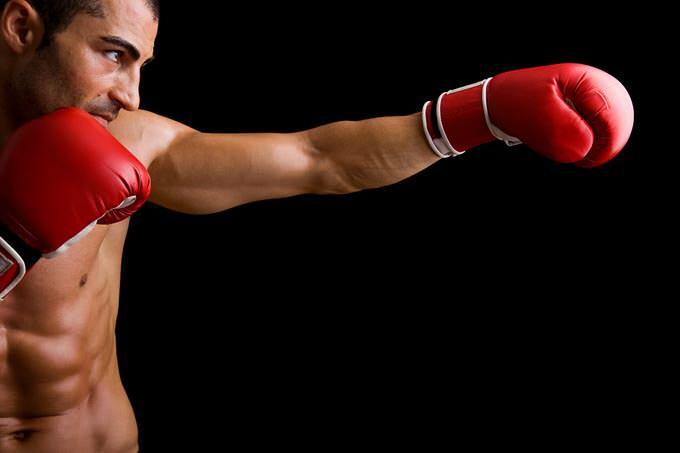 Get into your boxing stance and practice bobbing and weaving as you move forward and backward. Avoid making contact with the rope during this drill. As you become more proficient at this drill, start adding punches to it. Here is an example of a rope drill you can use below. Find a teammate to help you with focus mitts drills before or after class for extra practice. Shifting Angles - Incorporate the changing of angles in your punching combinations. Visualize the bag as an opponent and release punching combinations that works the body and then attacks the head. These type of combinations will translate well to sparring sessions since punishing body shots drain your opponent’s stamina as well as lower their guard, which will then create openings for the follow-up head shots. Shoulder Rolls - This is how Floyd Mayweather Jr. is able to be so good---because he perfected the shoulder roll so it keeps him from getting hit. Practice incorporating shoulder rolls to protect your chin and deflect punches. Being able to deflect an aggressive opponent’s punches, as they rush forward, is greatly beneficial. Diverting their movement would cause them to end up out of position while you respond with counter punches of your own. Although shoulder rolls don't have to be a big part of your game, knowing how to do it properly will get you out of some sticky situations. Ring Control - Work on controlling the center of the ring and pressuring your training partner towards the ropes or to the corners. Check out the agility ladder we recommend below. It's the one we use in our class to improve our footwork. Broken Rhythm - Going slow and then picking up the pace. This action confuses and throws opponent’s timing off.